If you need help understanding the property licensing rules in Haringey you have come to the right place! We are experts in housing regulation and have produced this free guide to help you understand the council’s property licensing schemes. To help set the scene, the London Borough of Haringey is in North London covering an area of 11 square miles. It is bordered by the boroughs of Barnet to the west, Enfield to the north, Waltham Forest to the east and Camden, Islington and Hackney to the south. According to the 2011 Census, about 31% (1 in 3) of the housing stock was privately rented which is higher than the London average of 25% (1 in 4). You do not need a licence if you rent your property to a single family as Haringey Council do not operate a selective licensing scheme. However, if you rent out a flat in a converted building, you should also check the additional licensing scheme below as some buildings containing flats do need to be licensed. If you rent out your property as a House in Multiple Occupation (HMO) the answer is more complicated. Haringey Council operate an additional licensing scheme plus the mandatory HMO licensing scheme that applies throughout England and Wales. This additional licensing scheme came into force on 1 May 2014 and will end on 31 April 2019. However, the council recently consulted on introducing new licensing schemes so there could be further changes coming soon. It applies to all HMOs in the wards of Bruce Grove, Northumberland Park, Seven Sisters, Tottenham Hale and Tottenham Green. A map showing the five wards is available on the council's website. The council have decided all section 257 HMOs need a licence if they are above a non-residential premises (i.e. an office, shop, etc.). But a section 257 HMO not above commercial premises only needs licensing if the total number of dwellings exceeds the number of storeys in the building and where the building and all the flats within it are either in the same ownership or are considered by the by the council to be effectively under the same control. Confused? Yes, we were as well. It does seem a rather complicated definition! You may need to read it few a few times and seek further advice if you are still unsure. You can study the designation yourself in the 'More Information’ box on the right of this web-page. This additional licensing scheme ended on 30 September 2016, although licences granted under the scheme remain in force until the expiry date on the licence. It applied to all HMOs in the Harringay Ward together with the neighbouring north side of Turnpike Lane plus the neighbouring east side of Green Lanes, together with all of Salisbury Road in the St Ann’s ward. The council included ‘section 257 HMOs: certain converted blocks of flats’ in the scheme. For a mandatory or additional licence, Haringey Council charges a standard HMO licence fee of £208 per unit of accommodation or bedroom in a shared house. So that is £1,040 for a three storey shared house with five single person lettings. 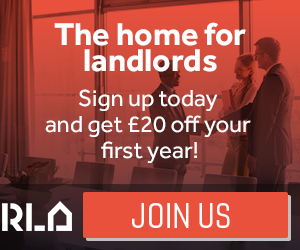 There are some discounts including a £100 discount for members of the London Landlord Accreditation Scheme. On the council’s website, it also says they may reduce the length of your licence in certain circumstances. For example, if you are not accredited, your licence period may be reduced by a year and if you fall behind on Council Tax payments, they may reduce the licence by up to two years. This seems a bit harsh and we think it could be subject to challenge if it was too rigidly enforced. The fees we have listed were published on the council’s website in January 2019 but could be subject to change in the future. The application process is a bit old fashioned. You can download the application form, complete it by hand and post it back to the council. The form and accompanying guidance notes can be downloaded from the council’s website. Alternatively, you can ask the council to send you an application pack in the post, which will cut down on your printing costs. Yes, Haringey Council’s HMO standards can be downloaded from the council’s website. Once you've clicked on the link, you will need to scroll down to the bottom of the page. The standards cover a range of issues such as kitchen, bathroom and toilet facilities, fire precautions, heating, lighting, ventilation and room sizes. They apply to all licensed HMOs. In February 2015, Haringey Council told us they had licensed 360 HMOs under the mandatory HMO licensing scheme and a further 321 HMOs under the two additional licensing schemes. The Council told us they were currently processing another 89 applications in the Tottenham licensing scheme. In October 2016, the council told us they had licensed 437 HMOs under the mandatory HMO licensing scheme, 526 HMOs under the Harringay additional licensing scheme and 185 under the Tottenham additional licensing schemes. So that’s an increase of almost 500 licensed properties since we last checked. Haringey Council keeps a public register of licensed properties that is regularly updated and can be viewed on the council’s website. We don’t really know. Haringey Council have told us that their last house condition survey was carried out 15 years ago and so they have no reliable figures for the number of HMOs that need licensing under the mandatory HMO licensing and Harringay additional licensing schemes. For the Tottenham additional licensing scheme, they have told us there are about 3,000 HMOs in the area, although some section 257 HMOs will fall outside the scope of the scheme. But it does suggest there could still be hundreds if not a thousand or more unlicensed HMOs in the borough. Haringey Council told us they took 57 housing prosecutions over the three years from April 2011 to March 2014, which makes them the second highest borough in London when it comes to housing enforcement action. Seventeen of these prosecutions were for HMO licensing offences. A further 14 housing prosecutions were carried out in 2014/15 and 5 more in 2015/16. They really are serious when it comes to housing enforcement action! The council obtained five Rent Repayment Orders from the landlords of unlicensed HMOs over the five years from April 2011 to March 2016. In March 2015, one case was subject to appeal but the Upper Tribunal rejected the appeal and the landlord was ordered to pay £16,000. You can read more about the appeal hearing in the news section below. Whilst we don’t have any figures for the NLA or RLA schemes, we have got information about the London Landlord Accreditation Scheme that is supported by all the London Boroughs. In January 2016, they told us there were 641 accredited landlords in Haringey, which was the sixth highest out of all London boroughs. By January 2018, that figure had increased to 894, which is now the fifth highest when compared to all the London boroughs. To find out more about becoming accredited, you can visit the London Landlord Accreditation Scheme website here. 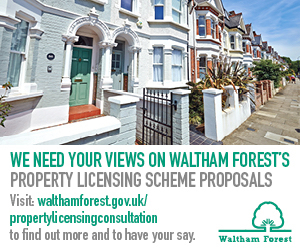 Yes, the council are exploring options for introducing new licensing schemes. Let us explain. When Haringey Council consulted on their draft Housing Strategy 2015 – 2020, they included a proposal to bring in further licensing. In October 2016, the council told us that following the government’s decision to extend the mandatory HMO licensing scheme, they had no plans to consult on a replacement additional licensing scheme for the Harringay ward as they thought the enlarged mandatory HMO licensing scheme would capture most of these properties anyway. However, they did say that they are still considering plans for a borough wide additional HMO licensing scheme and also a selective licensing scheme. Following data analysis carried out in 2015/16, they said they were consulting with councillors and partner agencies before deciding on next steps. Everything went quiet for a while until the council undertook a licensing consultation from 11 December 2017 to 5 March 2018. The proposal included a borough wide additional licensing scheme plus a selective licensing scheme applying to all private rented homes in 29 parts of the borough. You can read more about the consultation on the council’s website. When we checked again in January 2019, the council's website said they intended to present a report to the council’s Cabinet Meeting in October 2018 with a recommendation to introduce these new licensing schemes. However, we can find no record of a report going to the October, November or December meetings and so have asked the council for an update. There’s clearly a lot happening in Haringey and so we will monitor the situation closely. For all the latest news, you can sign up to our free newsletter. On 30 November 2012, Haringey Council made an HMO Article 4 Direction that removes the permitted development rights to change a property from a single-family house (use class C3) to an HMO occupied by up to six people (use class C4) without planning permission. We understand that the HMO Article 4 Direction came into force on 30 November 2013 and applies to the council wards of Bounds Green, Bruce Grove, Harringay, Northumberland Park, Noel Park, St Ann’s, Seven Sisters, Tottenham Green, Tottenham Hale, West Green, White Hart Lane and Woodside. From that date, letting your property to three or more people who are not all related is likely to require planning permission. You can find out more information on the council’s website. We have also published some general advice on HMO Article 4 Directions here. Mandatory HMO licensing scheme applies borough wide and additional licensing applies to part of the borough. There is no selective licensing scheme. An additional and selective licensing consultation ended on 5 March 2018.